You are here: Home / Blog / Mobile / Why WordPress? WordPress has become the leading content management system (CMS) in the world. Companies like The New York Times, CNN, Forbes, Best Buy, and UPS all harness the flexibility, ease, and power of WordPress. At Zogo Design, we have also found WordPress to be the ideal web presence solution and utilize its many strengths to provide our customers with a flexible, user-friendly platform that can meet every need and grow along with their business. Content Management Systems are essential for nearly every website, large or small. CMSs—like WordPress, Joomla, and others—allow authorized users to add or change content to a site without a lot of technical know-how. They provide an interface where pages can be added easily, blogs updated at the push of a button, and plugins installed to add increased functionality as the need arises. They also organize all of the elements of a website so they can be easily located and modified. While there are a number of CMSs available today, WordPress stands out. First, WordPress has a much better framework than a lot of other CMSs—like Joomla. This gives our web developers greater flexibility with the overall design and page layout of the site. Since their design is not forced into a generic template, a custom WordPress website built by Zogo Design will be attractive and effectively organized to convert customers and give your brand the strongest online presence possible while still being user-friendly on the backend. WordPress also has the most extensive collection of plugins available, which can give your site an almost unlimited array of functions: online stores, client portals, media galleries, user forums, and much, much more. There is a vibrant community of developers, as well, who continue to improve and update WordPress and its plugins for increased usability and security. The web developers at Zogo Design can show you the power of these plugins and how they can help you to grow your business. In addition, the user interface is simple, intuitive, and customizable. If you know how to write and send an email, you can add a page of content, post a blog, or edit copy on a WordPress website. It really is that easy. If you don’t have the time or personnel to write professional web copy, we offer web content services to clearly communicate your message and boost your search engine rankings. In fact, WordPress works exceptionally well with search engines, meaning more exposure for your site. As your online presence grows, so does the importance of security. Again, WordPress has the best options available. It’s true that there are a lot of cheap templates and deceptive WordPress services floating around on the Internet today. 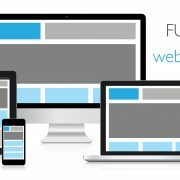 While you may get a tacitly functional website, it will be generic, cluttered, and buggy; more importantly, though, the site will be ineffective because it won’t be customized to fit you and your customers’ needs. You don’t want your site to be hamstrung by a cheap template—your web presence is too important. The WordPress development team at 303 Webhouse has a proven record of creating attractive, dynamic, user-friendly WordPress websites that get results. Our award winning graphic designer will accentuate your brand and hook users with custom graphics and vivid imagery. Our developers will build your site with all of the functionality you need and a customized interface to make your experience on the backend easy and efficient. Our custom WordPress sites give you everything you need to keep your content current so your site can grow with your business. Give 303 Webhouse a call today so we can show you the WordPress solutions that will work for you. https://www.303webhouse.com/wp-content/uploads/2016/06/wordpress-logo-notext-rgb.png 500 500 Nick Hertzog https://www.303webhouse.com/wp-content/uploads/2016/06/303-Webhouse-Logo-Final-Draft-Rectangle-Larger-Font-1-300x152.jpg Nick Hertzog2016-06-27 20:13:322016-07-06 23:43:38Why WordPress?